It’s hard to argue with the popularity of the Silverbug Reddit community right now. The first Silverbug-inspired design on a precious metal product arrived in 2014 with the release of a silver round. That one product has since sparked the release of two follow up designs in that same series, a stand-alone round offering, and an exciting eight-round series. 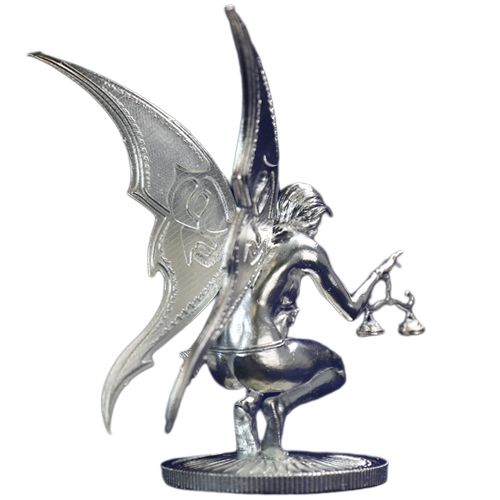 Today, Silver.com offers the 5 oz Silver Ariana Silverbug Statue for purchase online. Ships in a mint box and includes a Certificate of Authenticity! Production capped at just 1,000 statues! Contains 5 Troy oz of actual silver weight. Overall product weight of at least 5.4 oz. Purity of product is .925 silver, also known as sterling silver. Honors Ariana, the first silver fairy from the Silverbugs. Celebrates the continued growth of the Silverbug community. 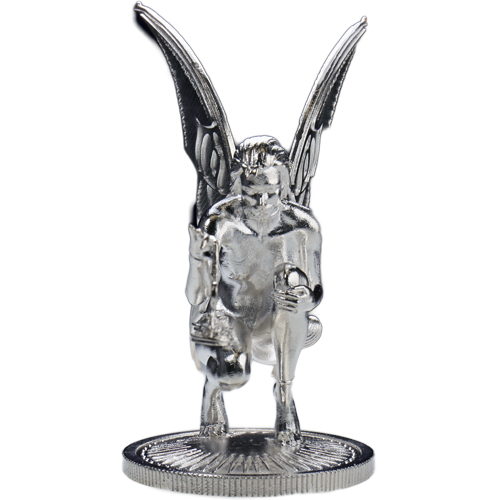 In 2014, the Silverbug Silver Fairy series of rounds debuted with the design honoring Ariana. Designed and created by the members of the Silverbug Reddit community, the Ariana silver round was commissioned by the group to celebrate the addition of its 5,000th member. 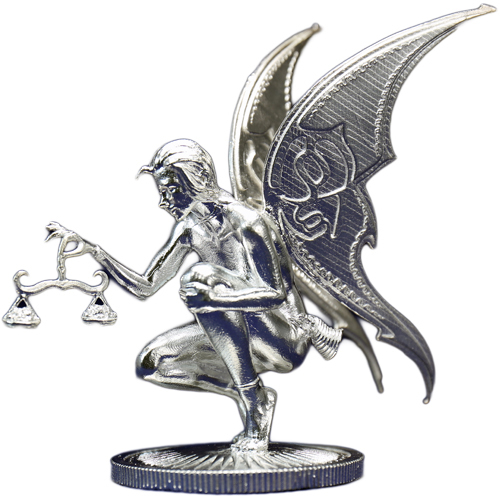 The Silverbug Silver Fairy Rounds remain the centerpiece of a growing number of Silverbug-themed precious metal items available for sale currently. The Fairy collection has grown since the introduction of Ariana with a Silver Archer Fairy in 2015 and the latest Alyx the Fair release in 2016. Additional offerings from the Silverbug community includes the one-time release of the Silver Robobug, and the recent releases of the first two designs in the exciting eight-round Welcome to Silverbug Island series of silver rounds. All Silverbug silver rounds are produced using .999 pure silver and feature limited mintages often capped at 10,000 for standard proofs. 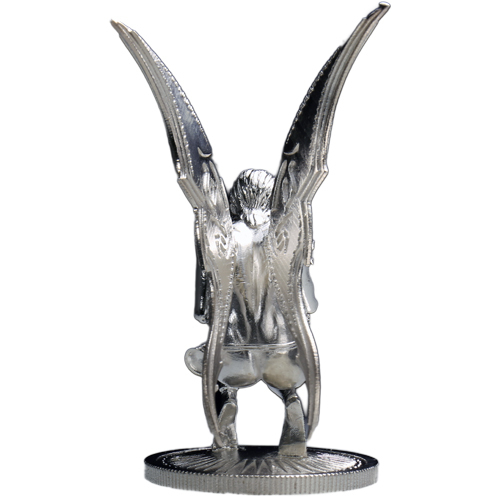 The 5 oz Silver Ariana Silverbug Statue available here today has a brilliant proof finish applied to it. These statues contain a total of Five Troy ounces of .925 fine silver. The base features a reeded edge, which makes it look similar to a coin. Heads or Tales Coin Company brings the age-old art of sculpting to life in a way that other modern mints and refineries cannot accomplish. These second generation mint masters are producing a total of six incredible statues in the Coins of the World collection, and Caleb Nefzen teamed with the mint and the Silverbugs to bring this amazing Ariana design to life. If you have questions, please don’t hesitate to contact Silver.com. Our customer service members are available on the phone at 888-989-7223, online via our live web chat, or through our email address.